Custom bikes and custom bike building have never been more popular, or more accessible. 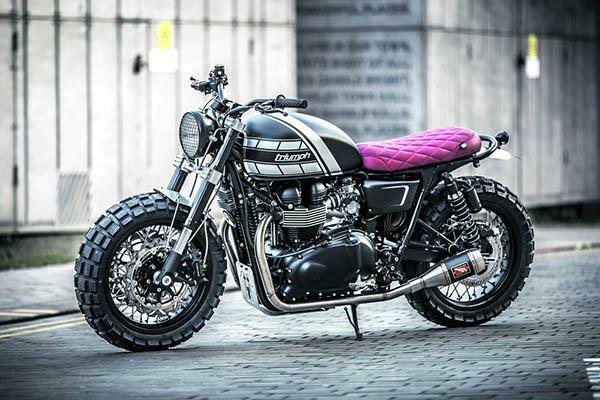 The rise of factory bobber cruisers – like Triumph’s Bobber or Harley’s 883 Iron – are one reason, with these pared-down, high-fashion machines ripe for further owner accessorising. 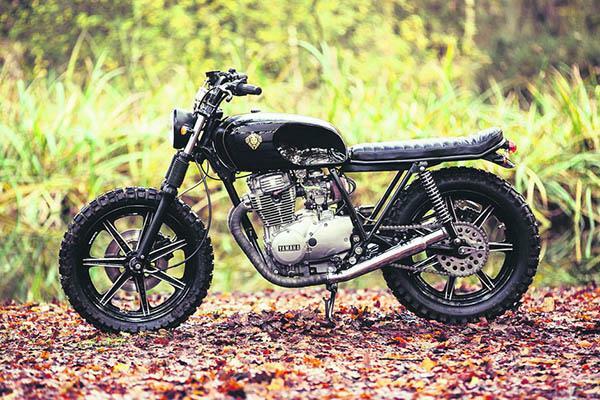 But they’re just one style among a wave of custom-oriented bikes. Places like The Bike Shed, magazines like Built and events like Wheels and Waves have all helped raise the profile of customs of all types. Most of the mainstream brands now offer style-conscious machines. Buying an off-the-peg custom is easy. Retro fans can re-live the spirit of the ’70s with Yamaha’s XSR700 and 900, Triumph’s Bonneville, BMW’s Rnine T or more – many of which are best sellers. Street scrambler buffs are spoilt for choice with Ducati’s Scrambler family or Yamaha’s XT500-inspired SCR950. If your taste is for a more sporty café racer, there’s plenty of choice here, too, such as Triumph’s Thruxton and the new Racer version of the Rnine T, Want to go further? To own a truly original, bespoke one-off? Well, thanks to the rise of the custom scene, that’s never been easier, either. There are more custom builders than ever, some high profile, some less so. Here’s our guide, in no particular order, to some of the UK’s leading builders, what they do – and what you can expect. 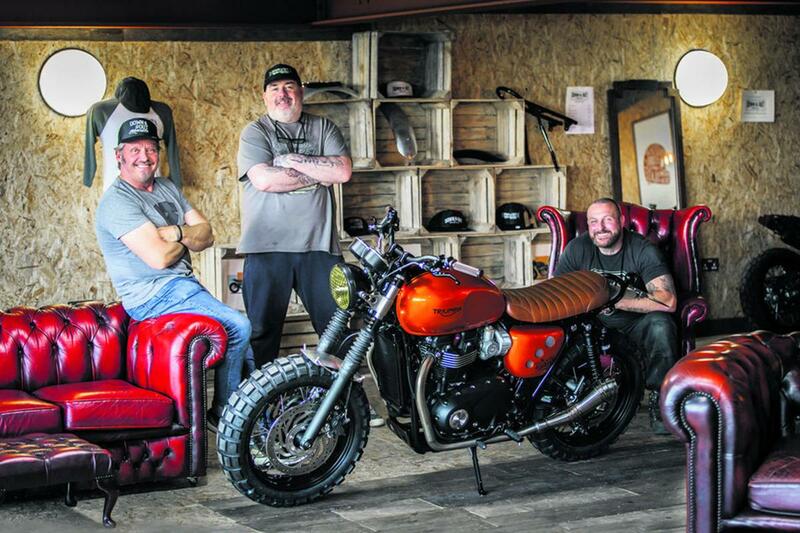 Based in Rotherham, Down and Out have grown in three years to be one of the UK’s biggest custom bike builders. They create around 50 machines a year, with Triumph, Yamaha and even Charley Boorman among their clientele. Down and Out were set up by Shaun Walker, who began building bikes as a hobby around 12 years ago from the garage at the rear of his house. He told MCN: “After building an old Honda CB450 and a Yamaha TR1, a trip to London to one of the very first Bike Shed shows started us on the road to where we are now. 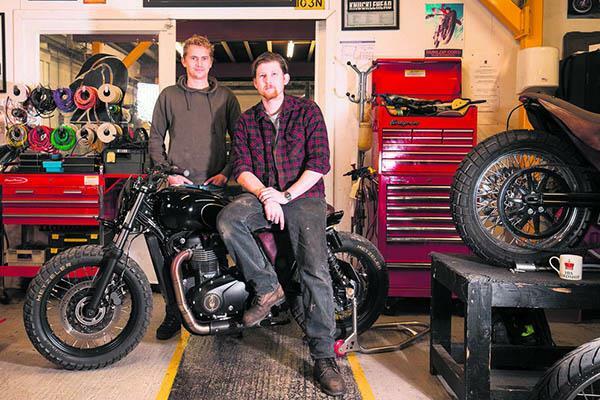 Based just outside the M25, near Potter’s Bar, up-and-coming custom builders Lion’s Den were set up by Dan Thomas. 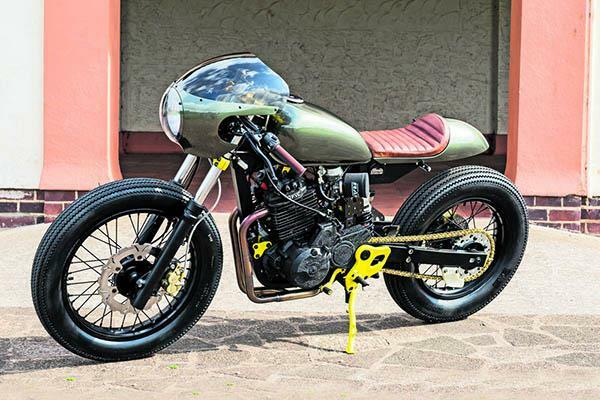 He’s produced a series of mostly Brat-style chopped-down roadsters and café racers based on 70s and 80s air-cooled Japs, with his latest being the Dirt Racer recently seen at The Bike Shed. 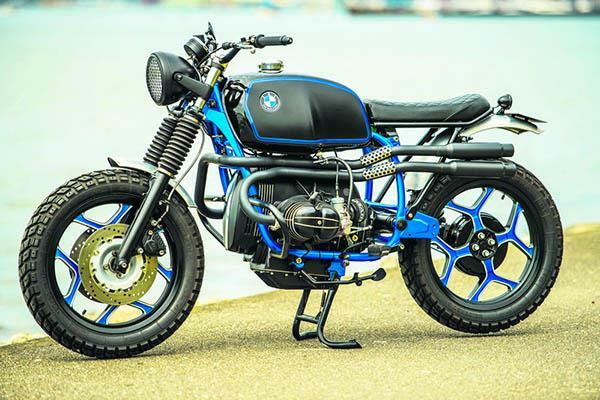 Side Rock are based in Bournemouth and were set up by Pete Hodson to specialise in building custom café racers, street scramblers and Brat-style bikes – mostly BMW Airhead based, although many other makes and models are used. Pete told MCN: “Coming from a road-racing background, I know how a bike should feel and handle, so all my builds have to ride well on the road and are not just for show. Warr’s King’s Road Customs are the builders within Warr’s Harley-Davidson, Europe’s oldest Harley dealer since 1924. Based on London’s King’s Road, the team is masterminded by Head of Design and Custom, Charlie Stockwell, 37. The Harley factory-trained technician of 21 years told MCN: “We’ve long been building custom Harley-Davidsons with the approach to deliver not only a very beautiful custom motorcycle, but one that performs as well as the original bike we start each project with. It’s important to us that the bikes retain the heart and soul of the donor vehicle. Motor, transmision, main electrical system and chassis all remain as the factory designed it. That way, each bike – no matter where in the world – can be easily understood and worked on by any trained technician. The customer then continues to get good service. Debolex were founded by Calum Price-Tidd in 2012 and have produced an impressive series of retro-inspired customs. Calum said: “Our build process is similar to that of the 50s and 60s motor-racing era, where makers would remove the heavy steel bodies from their saloon and sports cars, and replace them with a lightweight aluminium body, while simultaneously improving the chassis and engine performance. We have adopted the skills of those early coach-builders, and developed our own techniques applied with our design to create unique customs. Kev Hill (geddit?) set up custom shop in Torbay eight years ago. 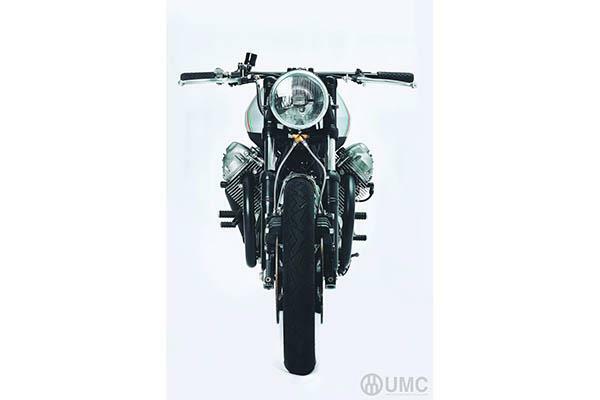 Initially specialising in pared-down BMW boxers, he’s moved on to high-end builds for the likes of David Beckham and TV actor Matt Bardock, and has exported bikes to the US, Japan, Canada, South America and mainland Europe. 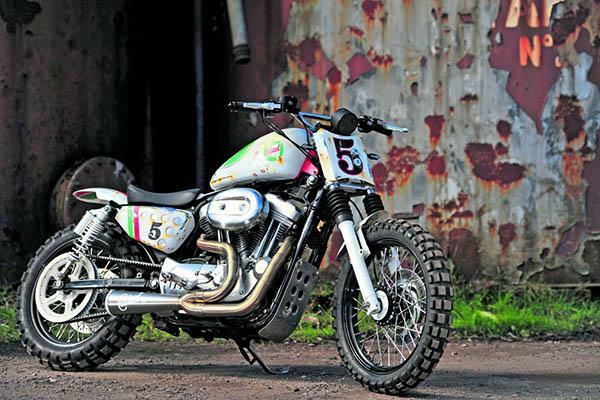 Sickboyz are a multi-award-winning custom motorcycle manufacturer based in London. 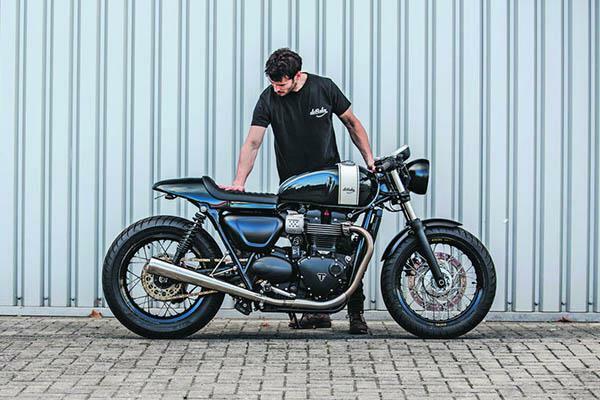 Founder, Wade Poulson started with a very basic dream to build a couple of chops for fun, and then realised that the UK custom industry would benefit from a London-based custom bike shop. Shaw Speed & Custom is part of Shaw Harley-Davidson, one of Harley’s leading UK dealers. 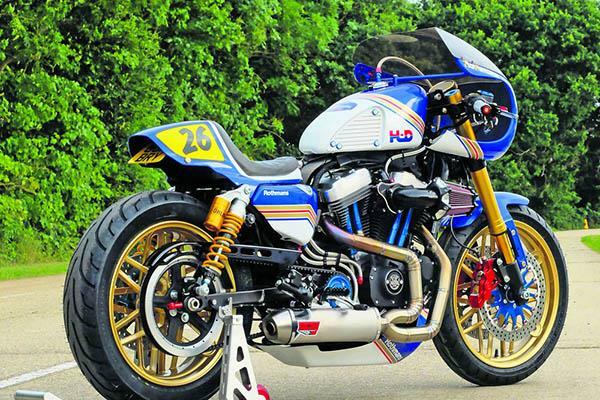 Dealer principal Steve Willis told us more: “The Speed Shop is in its eighth year, and rose to fame after winning the 2010 World Championship of Harley-Davidson Modified Harley class at Sturgis. Founded by Alec Sharp and Rafe Pugh, OEM are based near Diss, Norfolk, and specialise in creating a handful of exclusive, one-off customs each year based on a variety of donors. In addition, they do a range of accessories and parts, such as handlebar grips and brass fuel caps. Untitled’s Adam Kay caters for those bored of modern bikes that all look the same. He said: “People want to get their hands dirty. They are bored with the antiseptic modern world. But a bike is visceral – especially old ones. You can feel an old bike throbbing under you. It’s got a life, and it keeps the rider alive, even when not riding it. 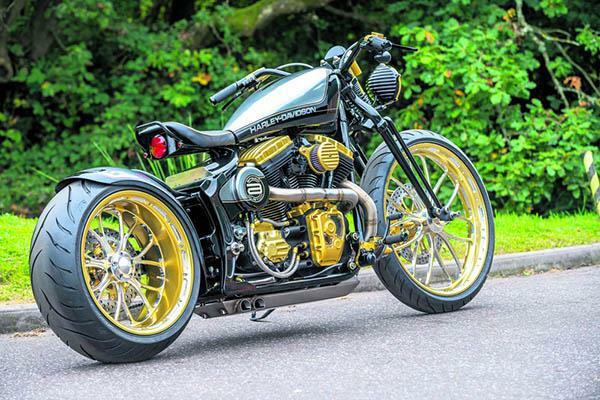 Founded by Russ Hardy, Voodoo specialise in making affordable but great-looking bobbers out of Japanese V-twin cruisers, particularly Honda’s Shadow. 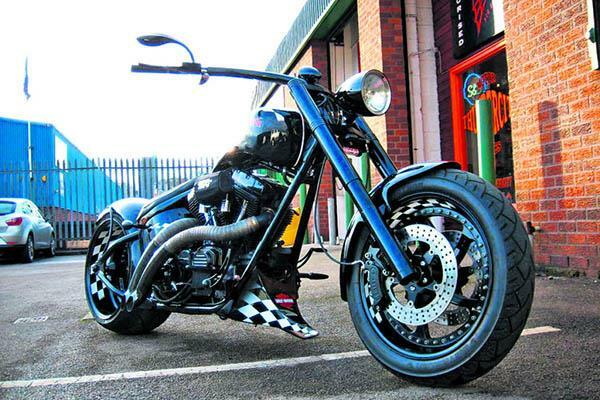 Russ said: “When I was living in Cyprus, I noticed a guy cruise past on a bobber and thought how cool they looked. So as soon as I got home I started researching. After a while I came across the style of bike that was to my taste – Honda Shadows – and the search was then on for a donor bike! 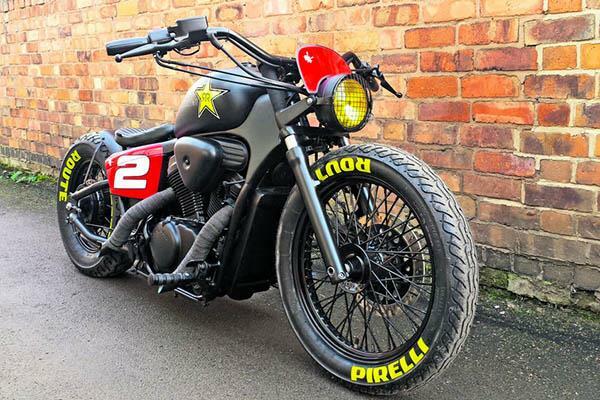 “The reason for the Honda was price – not many people can afford a ground-up build or even a Harley, but I knew I could make a cool-looking bobber from the Honda. “After I built it, every time I rode it someone was trying to buy it or complementing it, so a lightbulb went off! On my return to England (four years ago) I decided to build one and see how the UK market reacted. After over 10,500 views on eBay in four weeks, Voodoo Custom Cycles was set up, and we’ve gone from strength to strength.” A Voodoo conversion costs £4000 plus donor bike. Krazy Horse were started by Paul Beamish in 1996, when he couldn’t get the bike parts he needed locally. The Bury St Edmunds-based company’s grown steadily ever since, and now occupies three premises (the latest in London). In addition to a reputation for high-quality, bespoke, award-winning customs, which the dedicated team have been building for over 20 years, they’re an agent for Indian, Victory, Norton and MV Agusta. The spacious showroom, café and workshop are a destination in their own right. Have a browse for the perfect donor bike on MCN Bikes For Sale website or use the MCN's Bikes For Sale App.